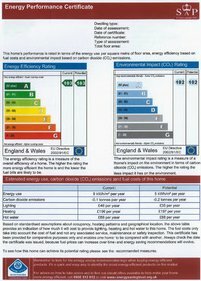 Our standard Assessment Procedure (SAP) is the UK Government's recommended method system for measuring the energy rating of residential dwellings. Route5 can offer a full energy assessment service, which essentially includes guidance on both fuel reduction methods and how to make designs more economic to achieve your intended energy ratings. 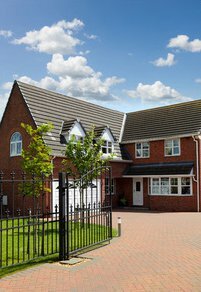 Here at Route5 we are able to offer SAP Calculations for new built homes, conversions, extensions or RdSAP’s for existing homes throughout the Leicestershire area and the earlier we start the better! DER/TER calculations need to be submitted to building control before work starts on site, however getting them done further in advance will also allow for the energy efficiency of the dwelling to be considered whilst it is being designed. A SAP calculation takes into account all the thermal elements of a building such as walls, roof, windows ect and combines it with the methods of heating, controls, numbers of lights etc to calculate the carbon emissions. There is a Target rate (TER) and a Dwelling emission rate (DER) the Dwelling has to emit less than its target. For more information regarding a Construction Energy Assessment contact us direct today. Call us on 07526 269 546 or fill out our online enquiry form and we’ll get back to you as soon as possible.